Dr. Voula Psaraki-Kaloupsidi, holds BSc in Mathematics and MSc in Civil Engineering from Washington University (USA) and Ph.D. from NTUA. 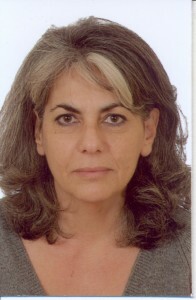 She is Professor in Civil Engineering, National Technical University of Athens. She has extensive teaching and research experience in Airport and Transportation planning. She has also extensive management expertise in planning and operations. She has acted as: manager of the Planning Department of the new Athens International Airport, director of Transportation Planning of the Athens Public Transport Organization, technical advisor to the Minister of Transport in Greece and the General Director of Olympic Airways. She has been actively involved in many EU-funded research and development projects.